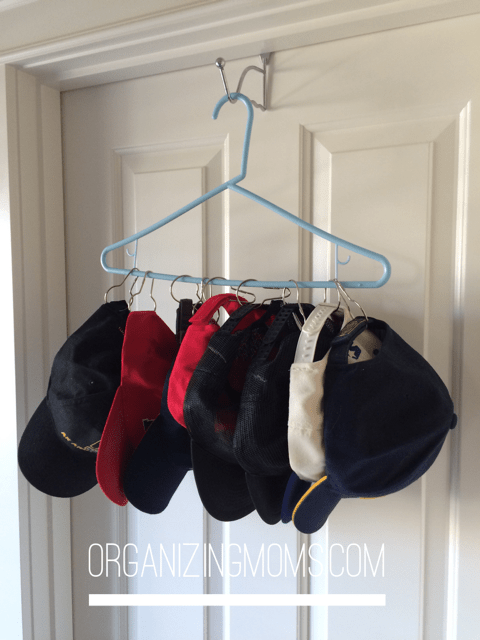 Looking for ways to consolidate and organize a baseball hat collection? 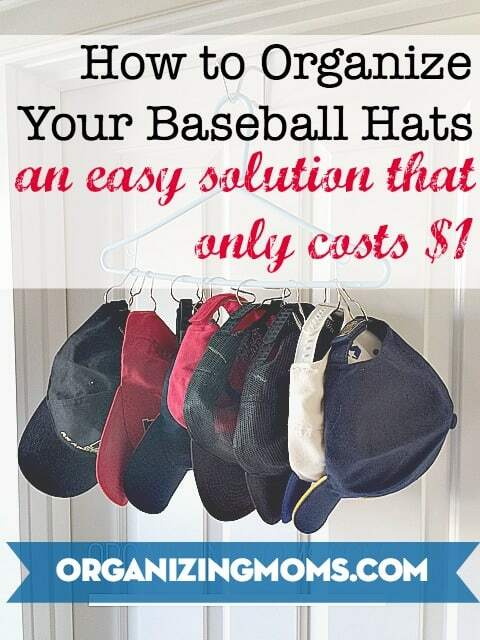 Don’t want to spend a ton of cash on an organizational solution for hats? 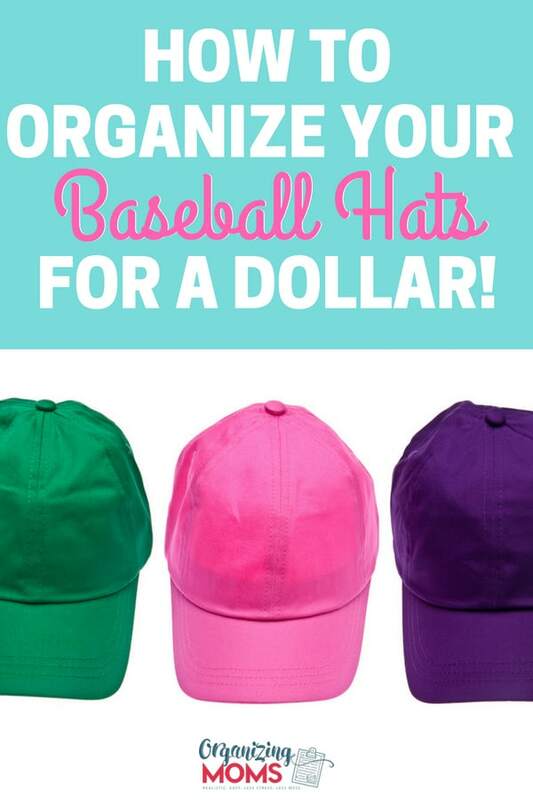 Or, maybe you just need to figure out how to store baseball caps? 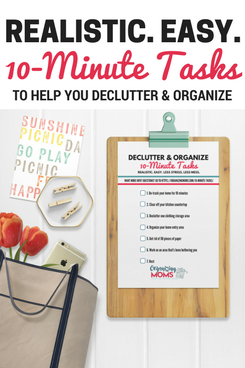 This post is all about one of my favorite ideas for how to organize your home. 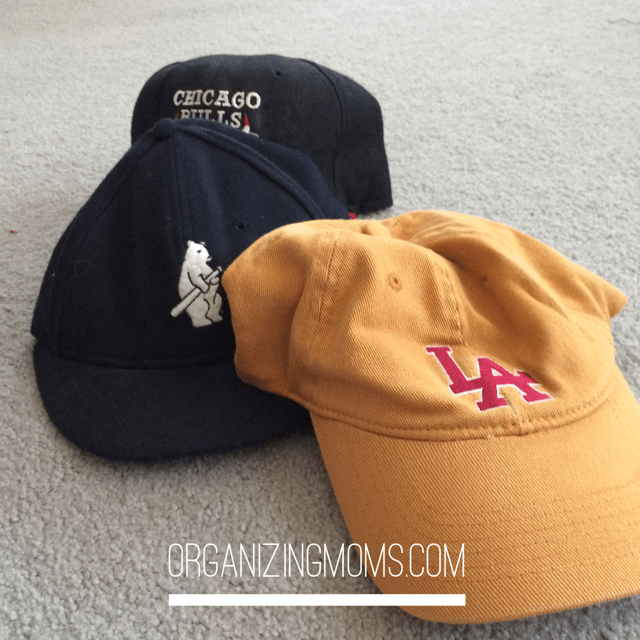 Our hats had been stuffed in the corner of our master bedroom since we moved to our home…over a year ago. It was about time to break them out and start using them. Plus, summer is coming, and soon we’ll be spending more time outside, and more time wearing hats. 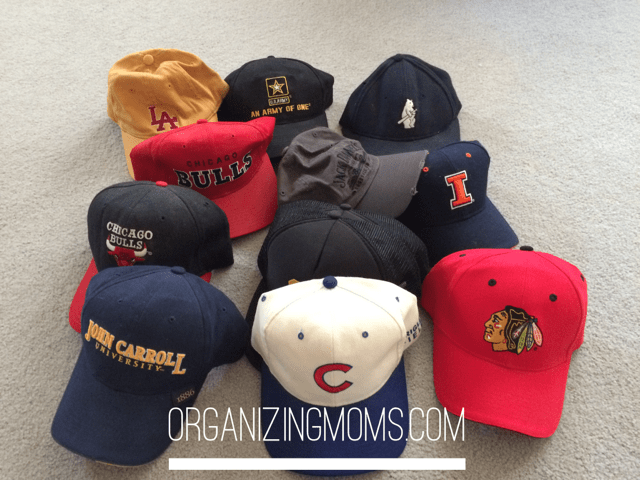 It was time to dust off our baseball hat collection, get rid of the hats we weren’t loving, and find a way to organize them. First, we picked out our favorites, and donated the ones we weren’t using. Notice the Chicago sports theme? There were a few hats that weren’t adjustable, so we weren’t able to incorporate them in this project. So now, they’re just sitting on a shelf in our closet. Maybe we’ll be able to find a way to use them into the organized-hat project later. The hats that do have adjustable straps work well for this project. 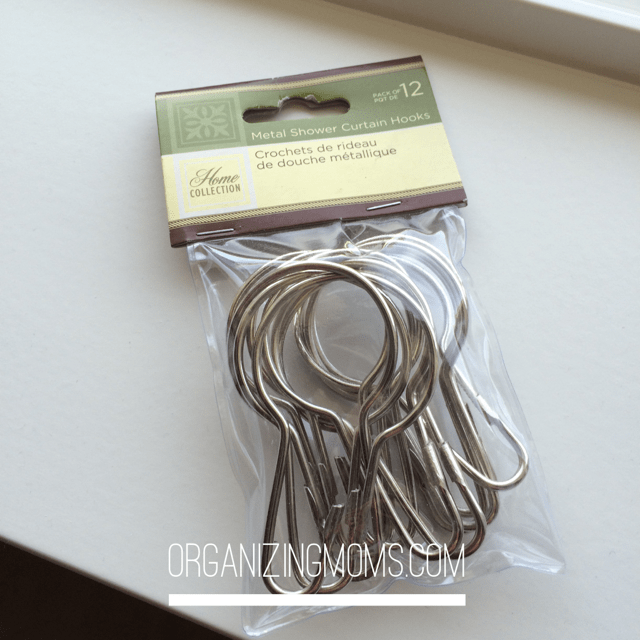 Then, we picked up a pack of cheap shower curtain rings from the Dollar Tree. For a dollar. For real. If you can find the plastic shower curtain rings, I think they would do better for this project. The metal ones worked just fine too. 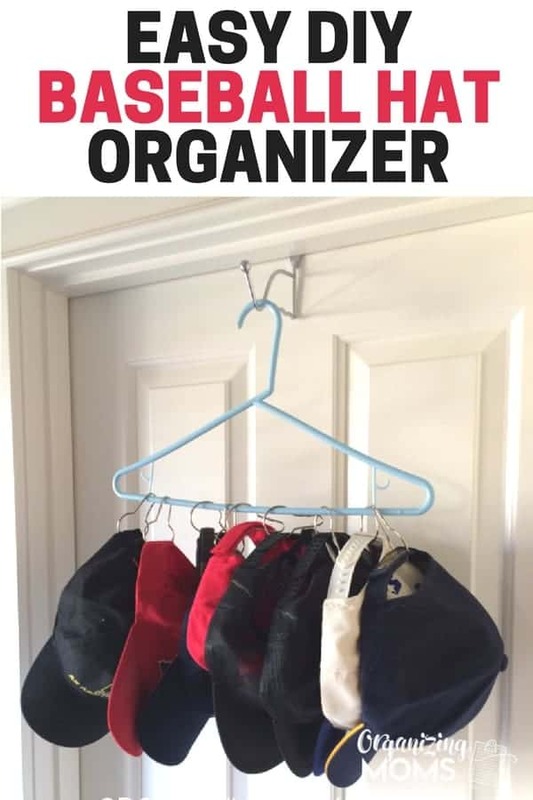 We attached a ring to each hat, and then we hung each hat on a plastic hanger. 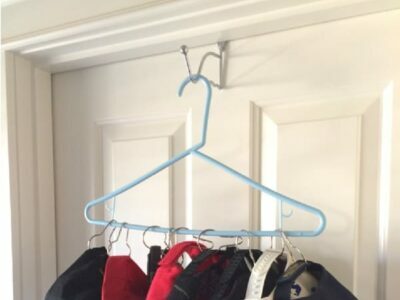 You can easily hang it in your closet, or on a door if you wear hats a lot. This solution helped us to get the hats off the floor, and it didn’t take up a lot of space in our closet. Plus, it only cost us $1. WANT TO REMEMBER THIS? 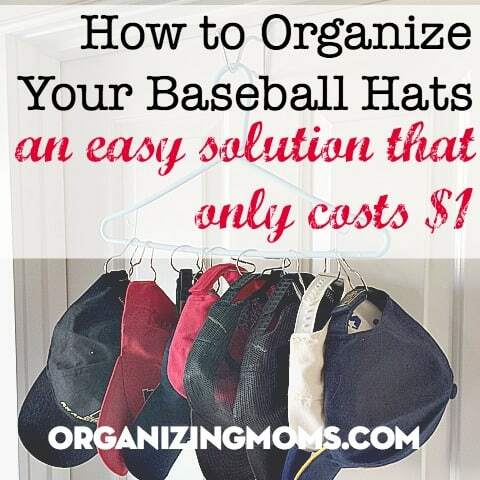 SAVE How to Organize Your Baseball Hats for a Dollar TO YOUR FAVORITE PINTEREST BOARD.